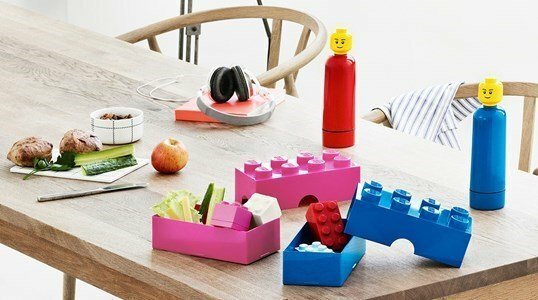 Mini 8, the LEGO lunchbox that cheers up the mealtime. Its design speaks for itself ... a LEGO piece ready to fit in the backpack!!! Wait ... first is snack time. The Mini 8 easily carries your snack or lunch, in an original and fun way. Designed to be placed on top of each other with perfect fit, they come in different colors that appeal to the imagination of both boys and girls. For the many LEGO lovers of all ages, all over the world. Made of polypropylene free of BPA and phosphates. PVC is not used. Complies with all relevant food safety standards.